One thing that separates the very successful online personal trainers from those that struggle to differentiate themselves is great communication with your clients. When coaching online your communication skills, encouragement, reminders and support are a huge factor in the long term success of your clients. To help great personal trainers make a big impact online our personal training software has some of the most powerful communication tools anywhere. 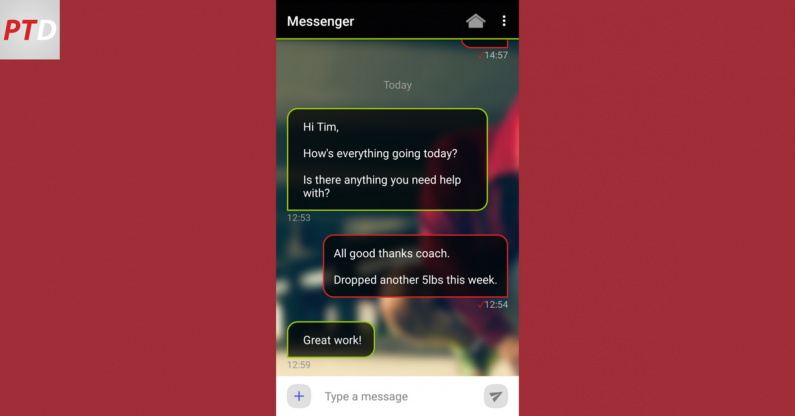 Online personal trainers using PT Distinction can schedule, or send, in app messages, text messages and emails to individual clients, groups of clients or all of your clients at the same time. This means incredible communication and support becomes easy, your clients never miss out because your too busy and messaging no longer has to take hours of your time every day. This one minute video quickly shows you the communication tools inside PT Distinction. When great communication is combined with great coaching your online clients get fantastic results and you stand head and shoulders above those handing out workouts and meal plans.